Visit this member's mySCI Webpage to learn more! 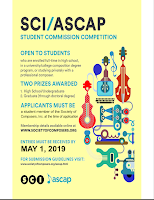 Society of Composers, Inc. is an independent volunteer-based organization concerned with the fellowship, collaboration, and career goals of new and contemporary music composers and those interested in topics related to composition. But what does that mean? How does SCI do these things? Every year, several multi-day conferences are coordinated by SCI members with the sole intention of presenting new and exciting works by fellow SCI composers. Not only are these conferences a vehicle to get your music performed and hear new pieces but also an opportunity to share ideas and performance resources with other composers from across the country. Professional contacts established at our conferences can benefit composers for their entire career. SCI has one annual national conference in addition to the several conferences which happen on the regional level (and yes, you can submit works to regions other than your own!). SCI also has select conferences exclusively for student members. SCI is also a great place to learn about opportunities for performances, awards, recordings, and commissions through the online list SCION. While SCI sends out a reminder about SCION once a month, new opportunities are listed all the time. SCION lists thousands of such calls for works each year. SCI also provides certain opportunities which are only for SCI members. 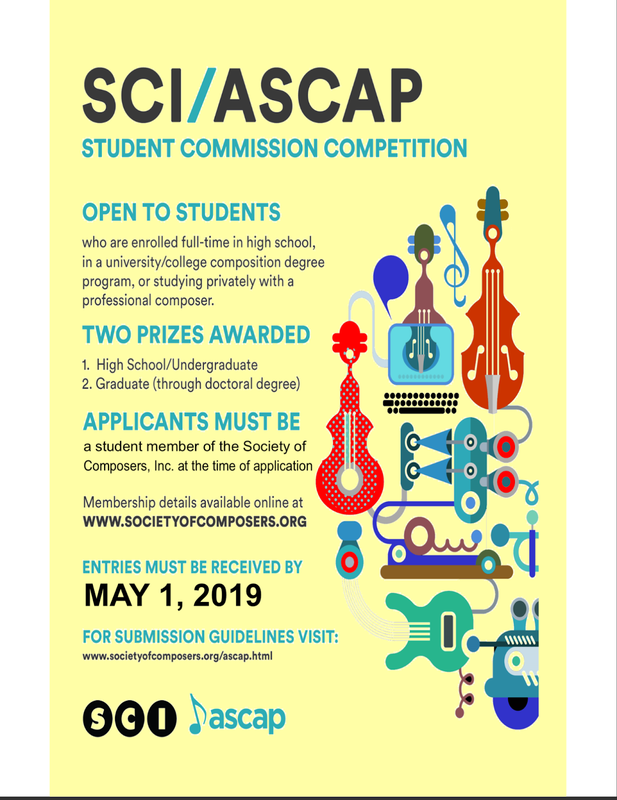 In addition to the conferences, SCI has partnered with ASCAP to create the annual SCI/ASCAP Student Composition Commission. For all members, SCI publishes the Journal of Music Scores (consisting of members' scores) and thanks to our relationship with Parma Recordings, SCI offers composer-based recording opportunities and CD distribution. With the conferences, the SCION opportunity list, the Journal of Music Scores, the Composers' CD Series, the Performers' CD Series, and the bi-monthly SCI Newsletter, SCI has a variety of ways to stay current and connected on the diverse world of contemporary music composition. You can even manage your own information, scores, and recordings using your personalized website available via your own mySCI Account! One of the main reasons for all of these features is to foster a sense of community and to facilitate dialog and the open share of ideas and resources between SCI members. Anyone can join SCI regardless of your compositional interests and tastes. More members means more diversity; more diverse musical voices means more interesting discussions! Membership in SCI provides more than a website with calls for scores. Membership in SCI provides a wide spectrum of resources meant to cultivate a strong and vibrant community of creative musicians.